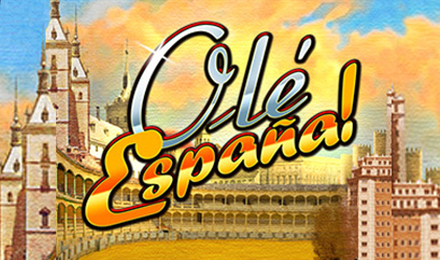 Here's your chance to travel to Spain on Ole Espana Slots! Created by Random Logic, this fabulous game comes with Wild substitutions and an amazing Free Spins Feature! Travel to the heart of Barcelona in Spain on Ole Espana Slots to discover the famous Sagrada Familia church and win huge prizes! Consisting of 5 reels and 20 paylines, this game is all about popular landmarks from Spain. On this historically rich game developed by Random Logic, you will have a fantastic 95.03% RTP. Get up to 10,000x your bet value with the Wild symbol in the form of the Ole Espana Logo. 3 or more Sagrada Familia scatters will activate 15 Free Spins where all the payout is multiplied by three!